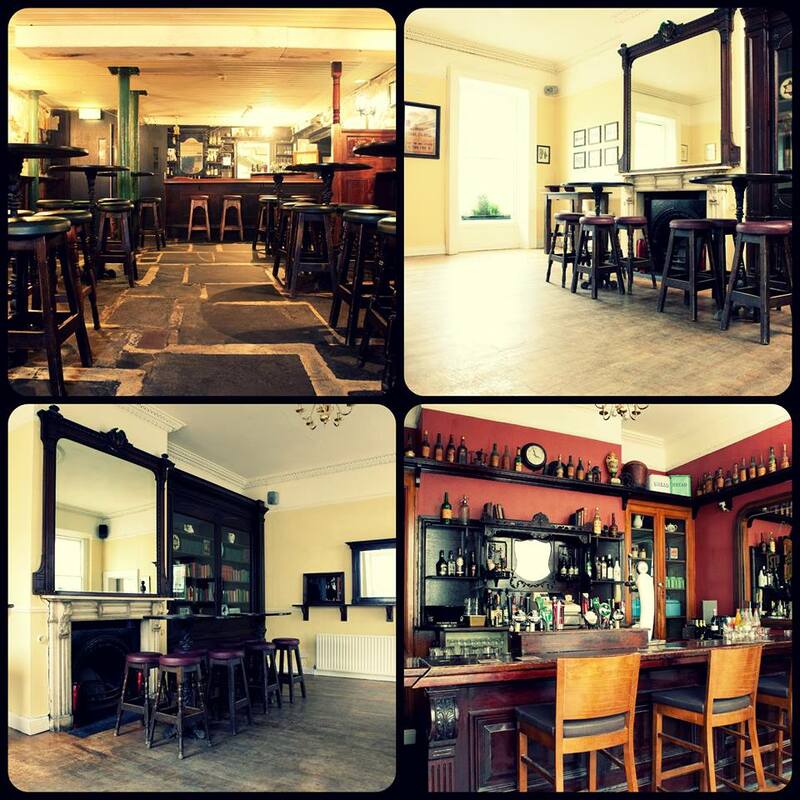 If you’re looking for a function room to host a party for groups from 20/30 all the way up to 250, we’ve got a number of options here for you. 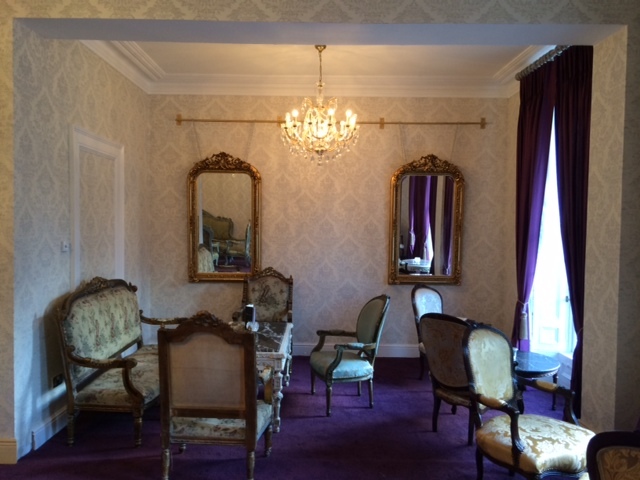 We’ve selected lots of high quality function rooms that are available to hire for free or for a refundable deposit. This list might also be useful to people looking to host music, pub quiz, or other entertainment nights. 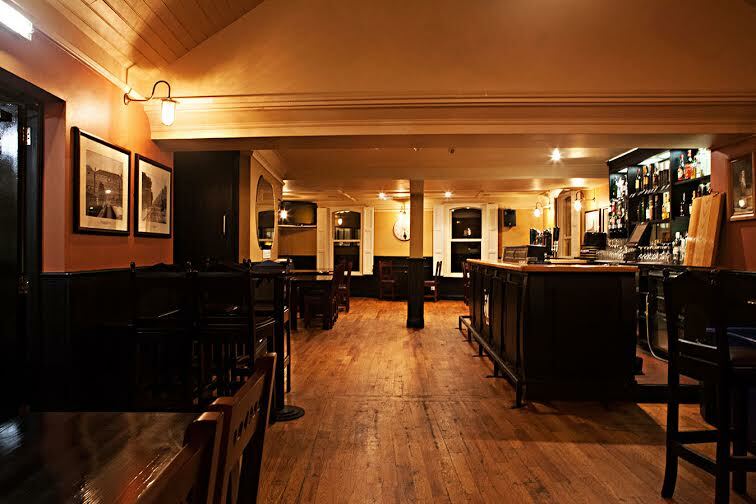 The criteria for being included in this list is that the function room has to be removed from other areas of the pub, offer privacy, and have its own bar. We will have lists in the future for best places to book, deals when you book, and more function rooms that do have a price for hire. If your pub is in the city centre and meets this criteria, email us with a photo at publinie@gmail.com and we can add you to the list. 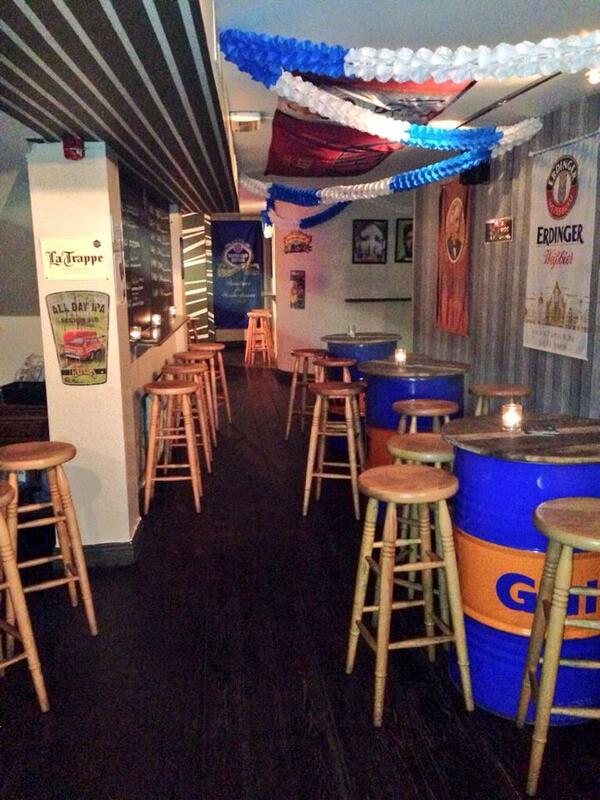 Publin always helps people who are looking for a venue for a party or just casual drinks with friends. 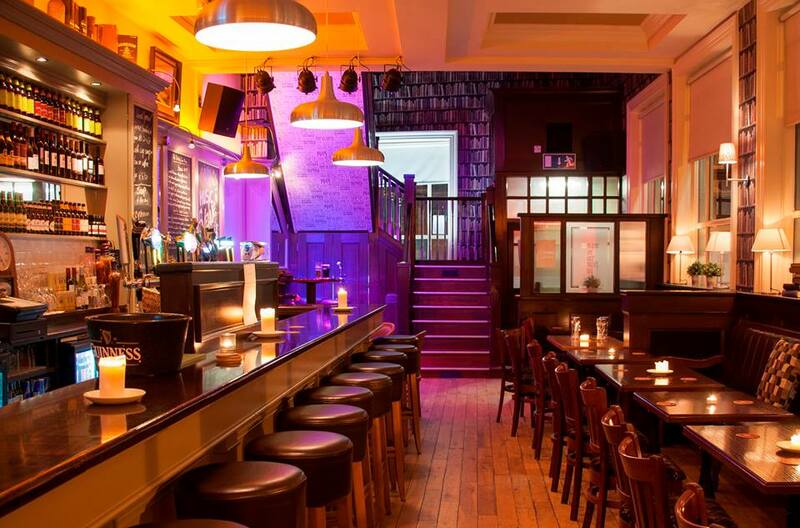 If you want some advice or assistance in finding the best venues and deals, just email us at publinie@gmail.com or message us on facebook or twitter. Be sure to mention your pals at Publin if you make an inquiry. 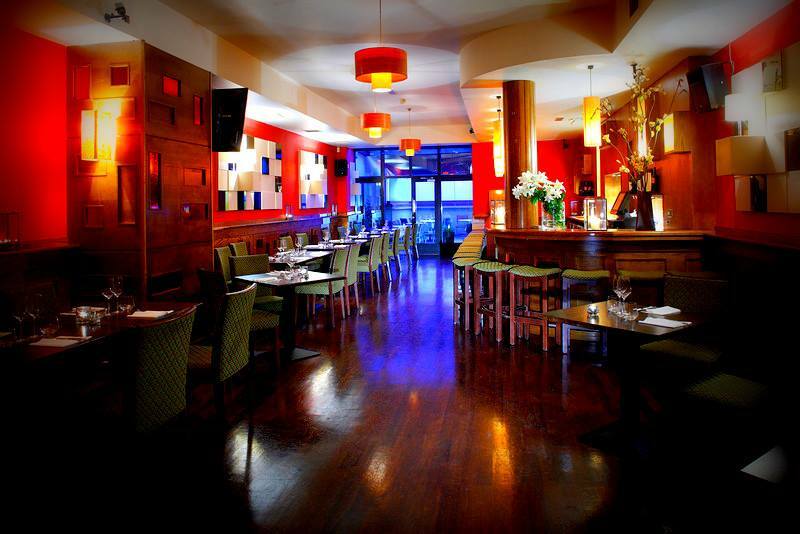 The Bridge in Ballsbridge is an excellent spot for a a personal or corporate party. 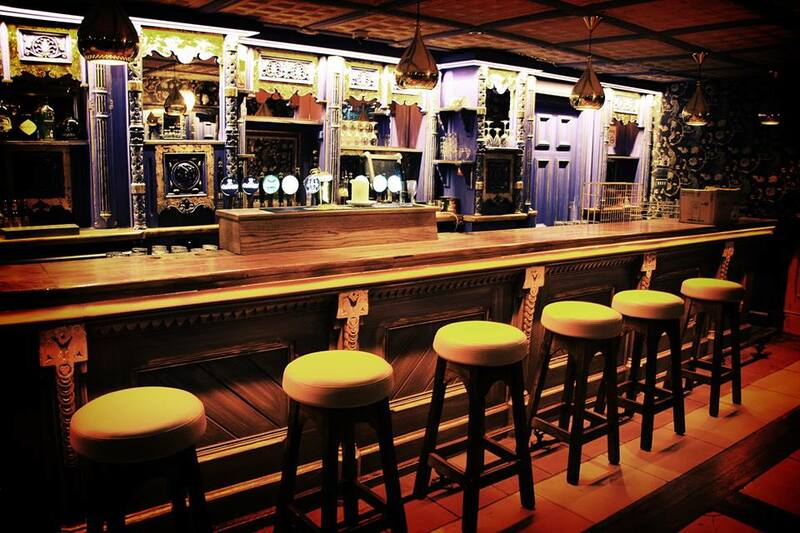 It’s owned by some of the Irish and Leinster rugby players, so that adds a bit of glitz to proceedings. 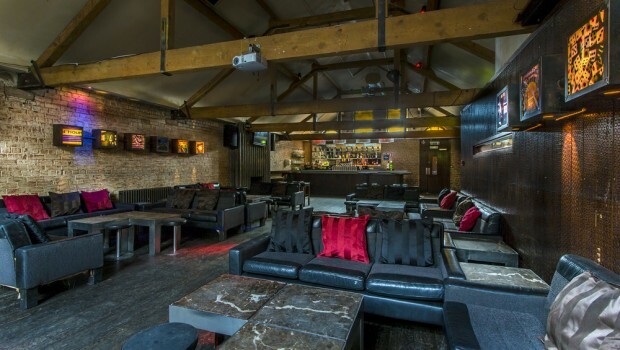 They can do finger food, drinks receptions, and they have entertainment options. Email hello@thebridge1859.ie to for more info. 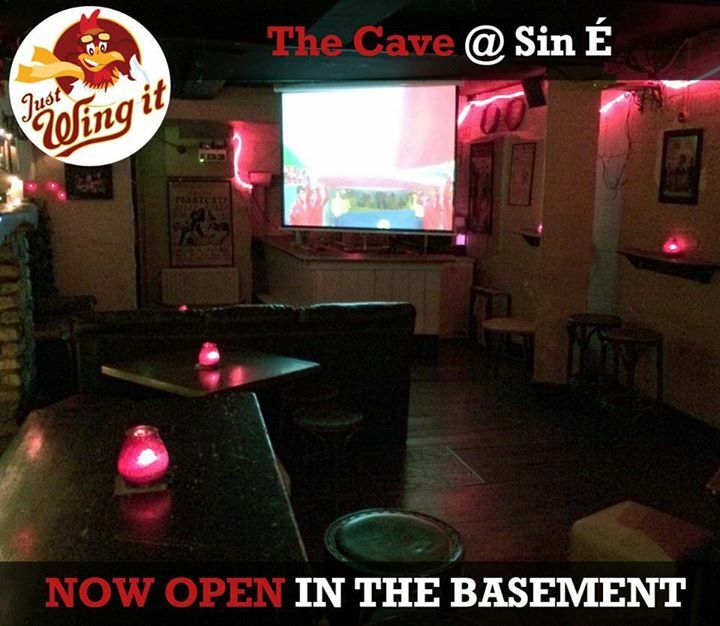 on capel street have a very nice function room upstairs that has a bar and projector screen. 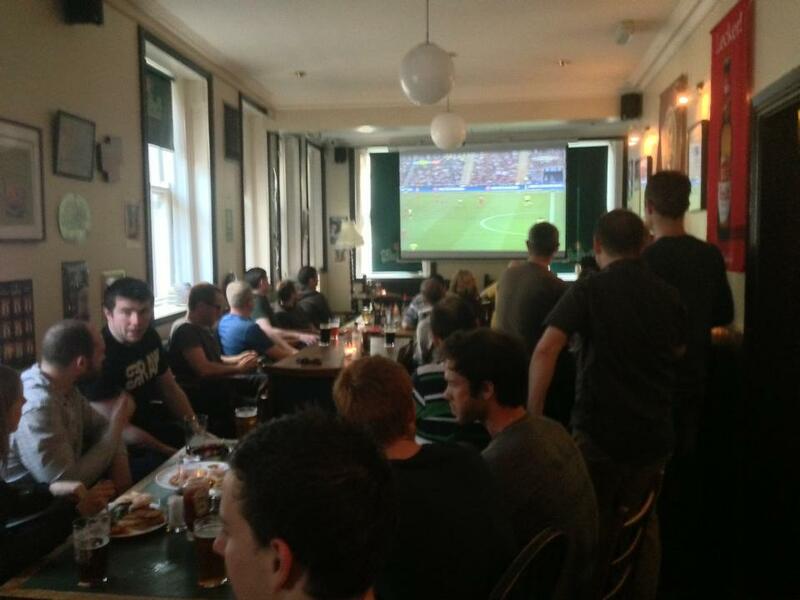 They often show sports up here, so it might be a good place for a screening of some sort. The room would comfortably fit 40-50 people. 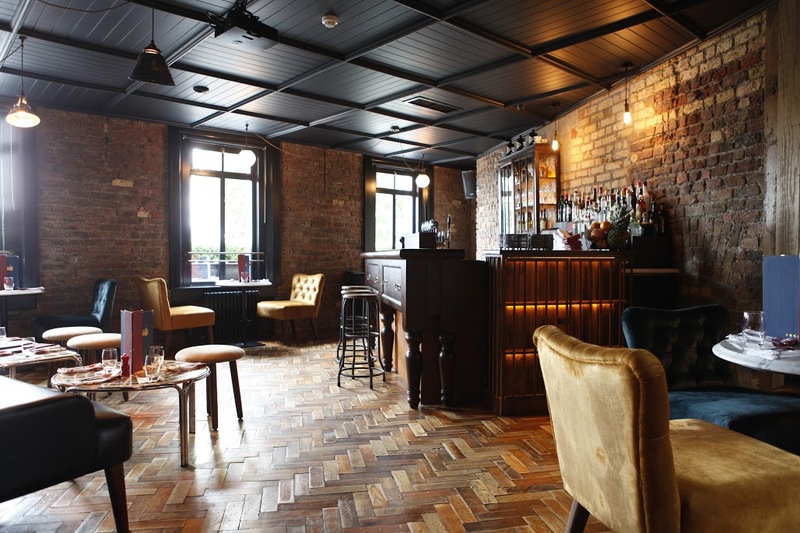 on Hawkins street has a really nice function room upstairs that is currently home of the Capital comedy club and plays host to many of Ireland’s top comedians. There’s deals on pizza and pints, pitchers, and bottles of wine. 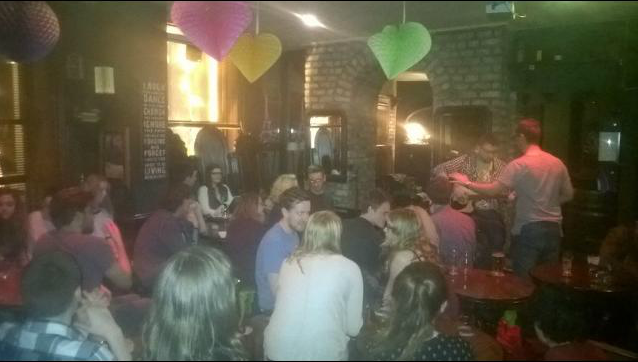 Pictured below is an open mic night held recently. 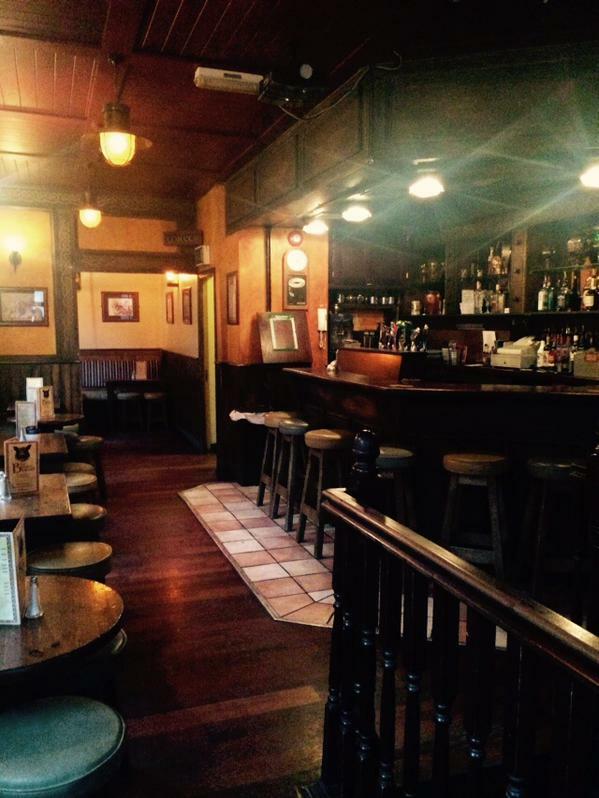 on Pearse street allows you to book out the entire pub, which has a capacity of 110 people. They have a sound system that can be used for gigs, a quiz, or anything else you can think of. 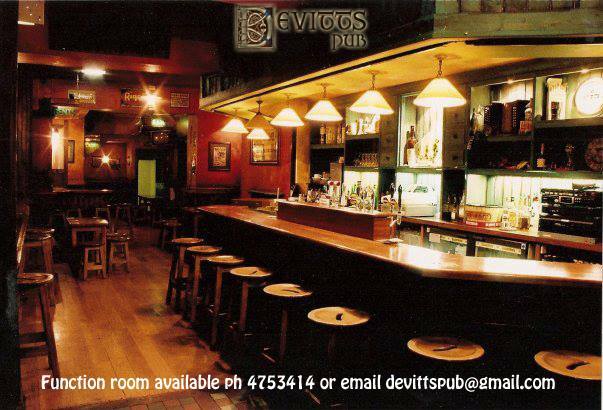 allow you to book out the entire bar if you have enough numbers. 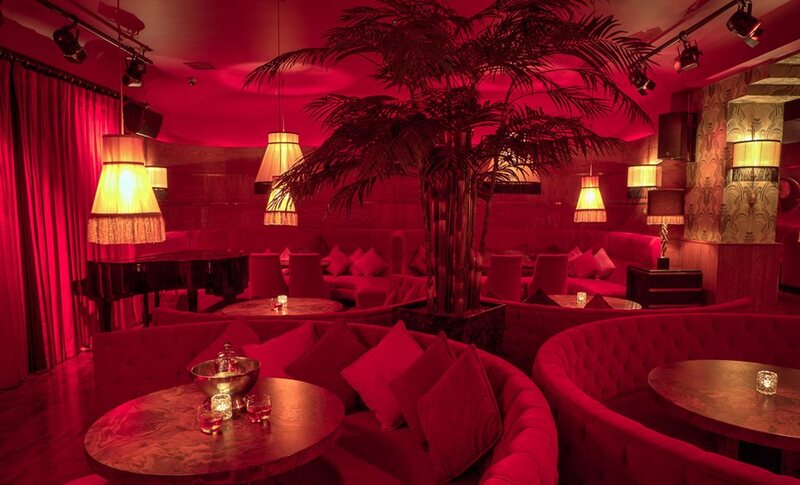 They specialise in cocktails, so if you’re a connoisseur, this might be the one for you. They require a deposit, but that is refunded on arrival.